My Subscription Business is world’s first solely Subscription Commerce consulting company established in 2015. We are on a mission to push your Subscription business to new heights through creative Subscription box website design, and marketing and complete branding solutions. With our focus on personalized, subscription-based web design and high-performing marketing strategies, we help businesses reach the right target audiences at the right time. 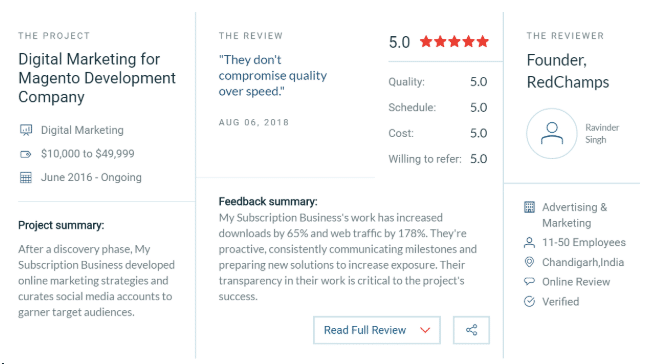 We know how to get things done and get things done right, which is exactly why we are so excited to share some recent coverage of our team and our work! Business insight firms Clutch and The Manifest have named My Subscription Business as one of the best marketing agencies and web designers in India, and even more excitingly, one of the leading 25 web design companies in India. 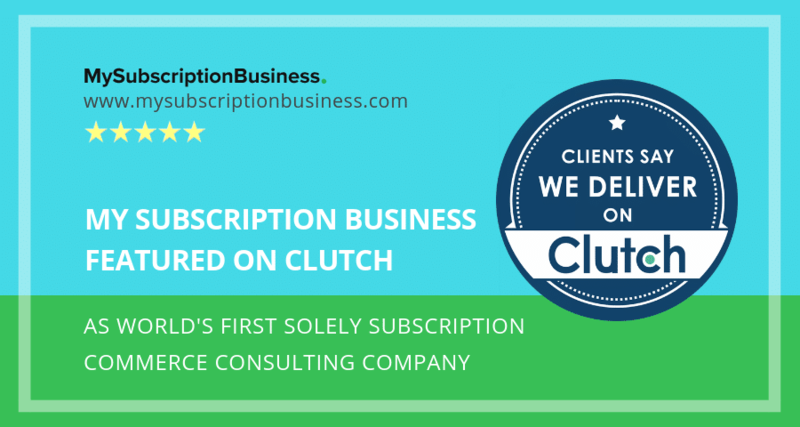 Such recognition truly testifies to the strength of My Subscription Business’ team members, expertise, and final products, as Clutch and The Manifest evaluate companies based on a host of information. The two Washington, D.C. firms analyze qualitative and quantitative data about businesses ranging from demonstrated experience and market presence to client feedback and reviews, so the comprehensiveness of reviews created by The Manifest and Clutch underscores the top-notch performance of featured businesses like us. In addition to the nods to our work from the professionals, the team here wants to send our gratitude to our clients for their own words of support on our Clutch profile. We strive to make our customers happy and to foster their success through our expertise and designs. If you’re interested in hearing more for yourself about our approach, our experience, or knowledge, we welcome you to reach out to discuss potential timelines and plans. Thank you to Clutch, The Manifest, and our clients for their support of us, and we look forward to collaborating in the near future as one the leading Subscription Commerce agencies!